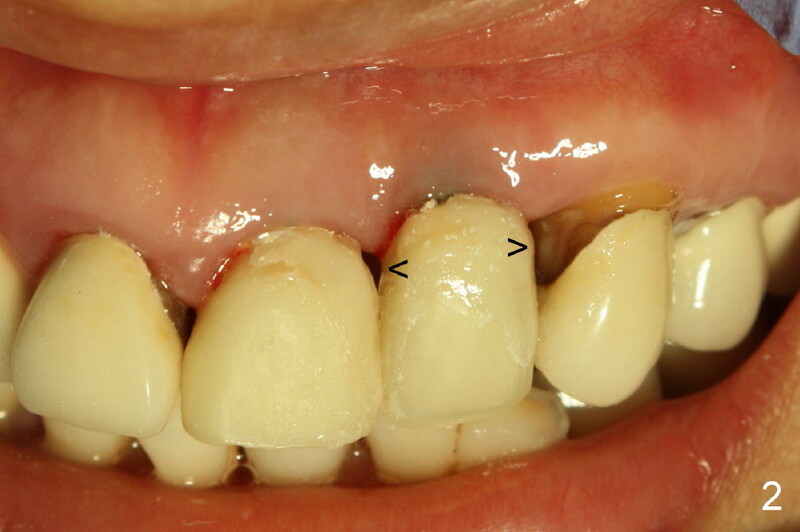 Gingival recession with black triangles (Fig.1 *) is noticeable 3 months 3 weeks post immediate implantation at the sites of 9 and 10. 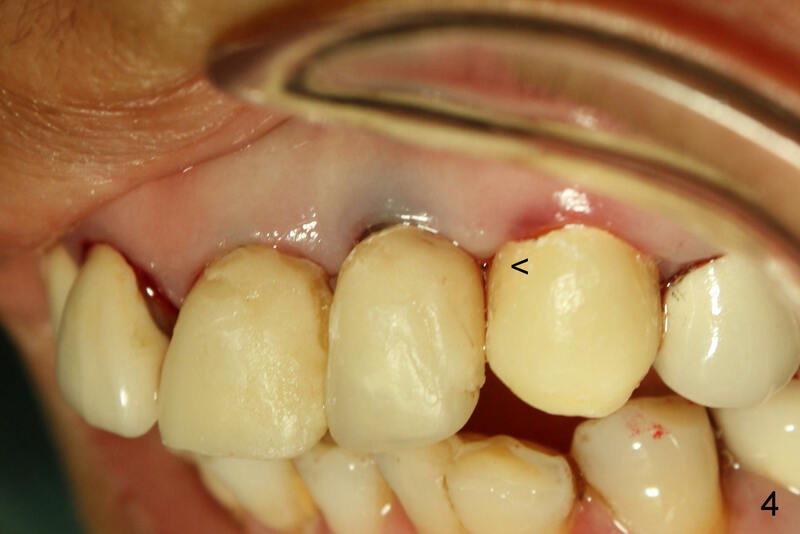 The cervical dimension of the provisional at the site of #10 increases (Fig.2 arrowheads (5 months 1 week postop) to close the mesial triangle, but not the distal. It appears that the crown of the tooth #11 needs to be removed for a provisional with wider cervix (Fig.3). 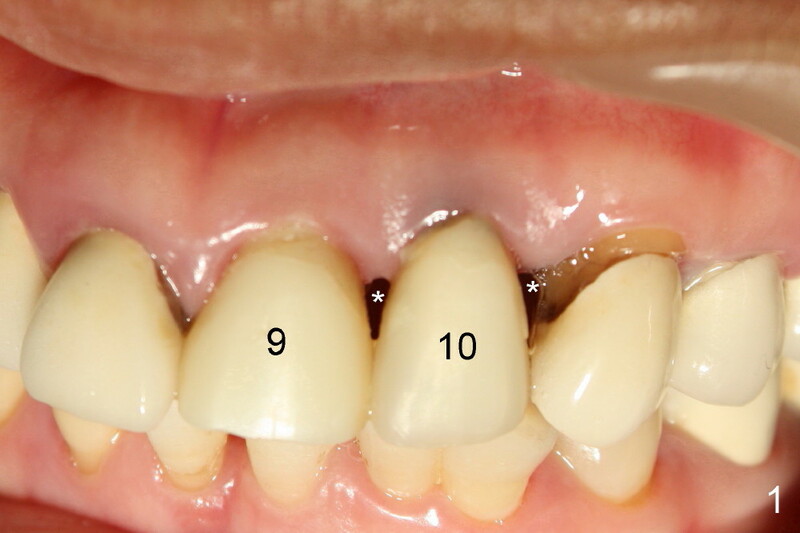 The distal papilla of #10 is more recessive than the mesial counterpart, probably due to the pre-existing condition (bone loss) and the mesial placement of the implant at the site of #10. 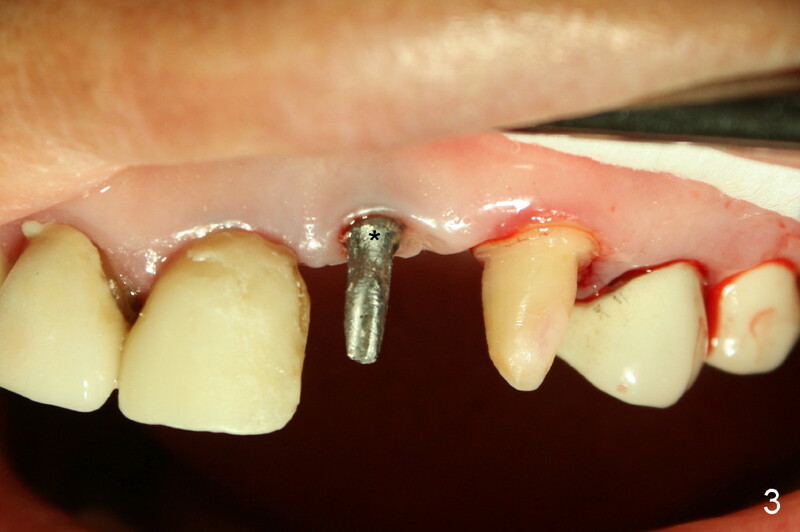 The metal implant and abutment (Fig.3 *) contributes to gingival darkness (Fig.1-4). The provisional at #11 closes the remaining black triangle (FG.4 <, 5 months 3 weeks postop). What happens 1 year postop?